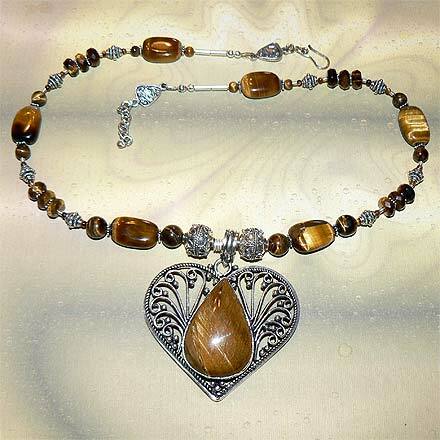 The necklace has a beautiful heart-shaped Balinese pendant. 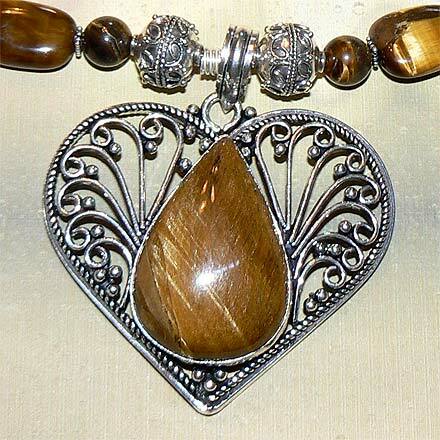 The Tiger Eye is full of shimmer and sheen to make for a beautiful set. Necklace has an adjustable clasp.